A number of tasty combinations that don't really need recipes. In other words, you too can make tea sandwiches. Be creative! 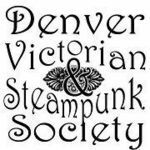 A recipe-sharing group for the Denver Victorian and Steampunk Society.